The web can be a dangerous place filled with imitation websites, pop-ups that lead to malware, and sites that trick you into giving away your credit card information. 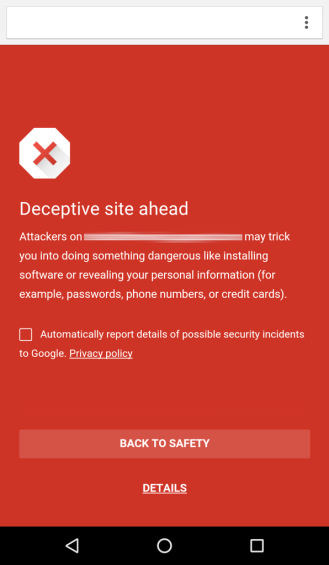 Many of us know how to navigate these risks well enough, but for those that don't, and for those times that experienced browsers screw up, it's nice to have services like Google Safe Browsing doing their part to keep folks protected. Safe Browsing provides that notification you get when you venture to a place Google deems unsafe. You can proceed to the webpage if you like, but Google recommends you back away slowly. On Android, users see a red screen topped by a stop sign with an X in the middle. The following text reveals if the site may be trying to trick you into handing over the keys to your accounts or other personal information. 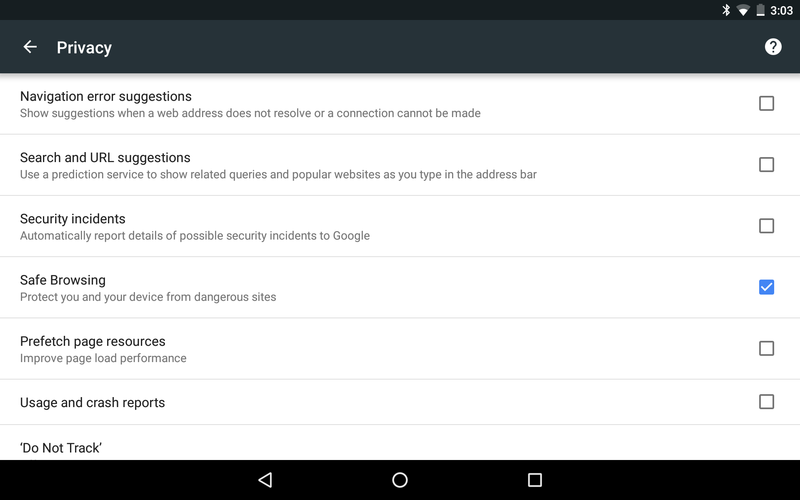 You probably already have Google Safe Browsing on your device. The feature is part of Google Play Services 8.1, which began rolling out in late August. Chrome 46, which has already been replaced by 47, was the first app to utilize it. You can check for yourself under Settings > Privacy.